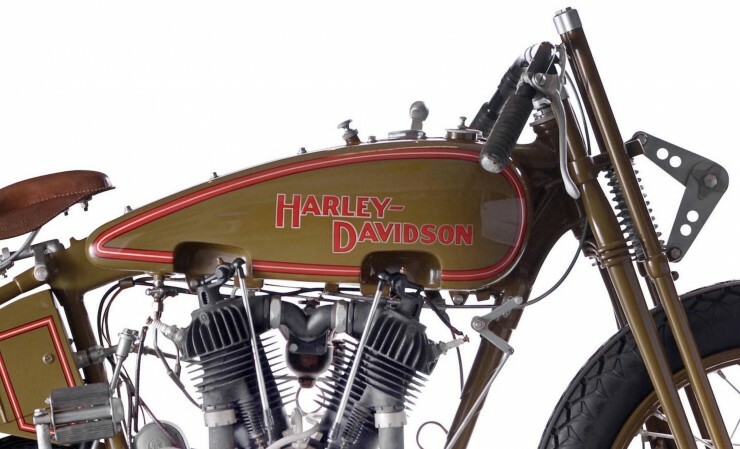 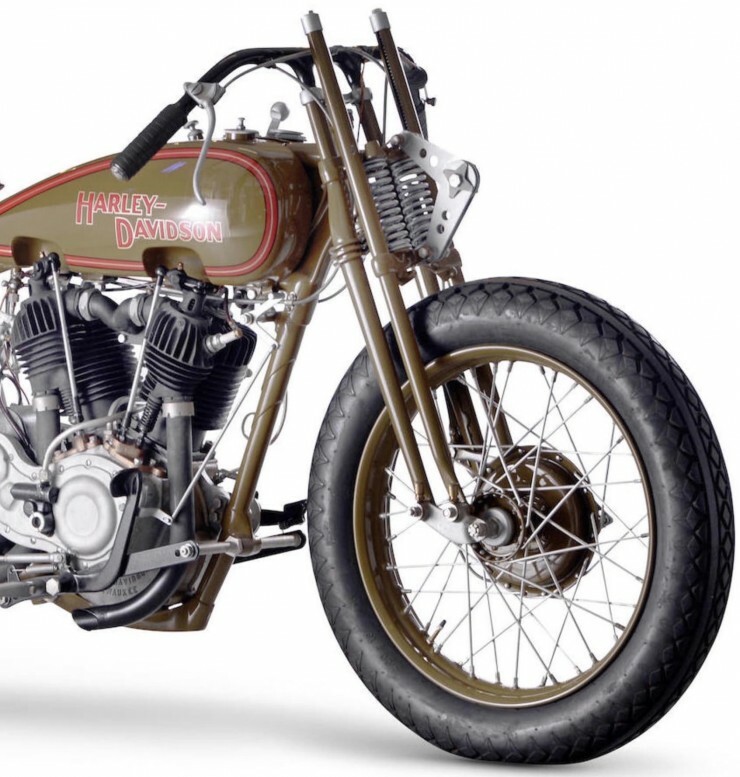 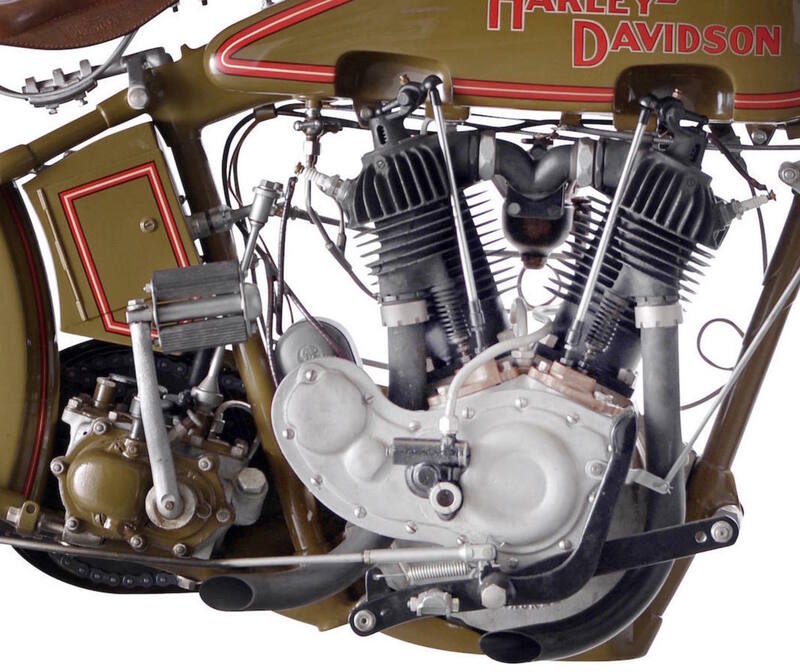 In 1928 Harley-Davidson offered its ‘Two Cam’ racing engine in a street legal motorcycle for the first time, it was called the Model JDH and it was one of the fastest motorcycles you could buy anywhere in the world. 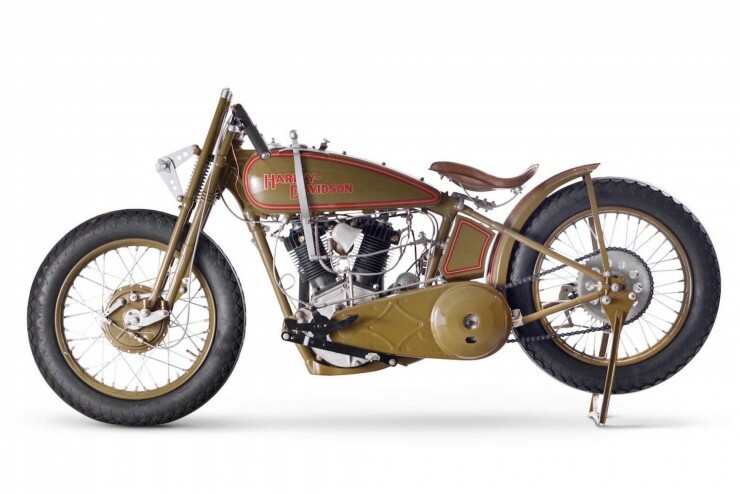 The reason 1928 was chosen for the debut of the Model JDH was relatively simple – it was to be the first year that Harley would install brakes on the front and back wheels, and it would have been too dangerous to sell a motorcycle fitted with the racing derived twin cam without plenty of stopping power. With a top speed of between 85 and 100 mph, the JDH could hold pace with most of the fastest racing motorcycles of the era. 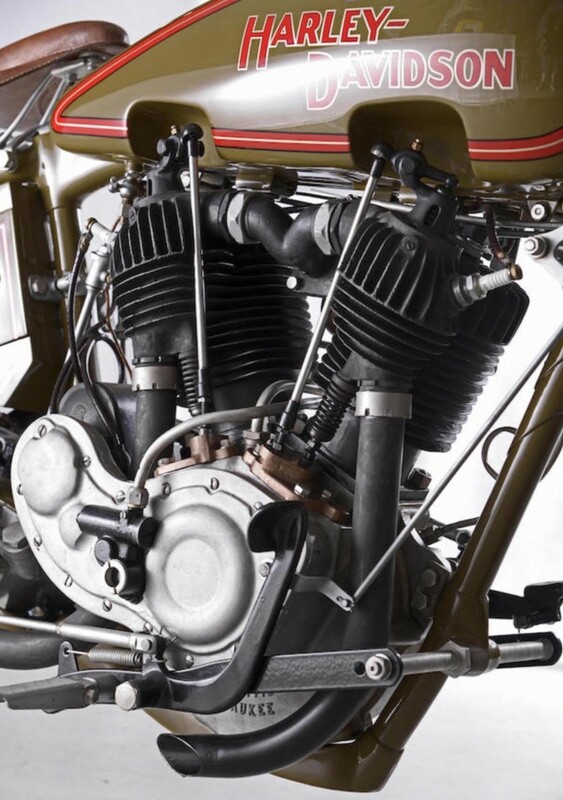 At its heart was a 1200cc F-head V-twin with a red line of 5000 RPM and special lightweight magnesium alloy pistons with a domed top for higher compression, which necessitated additional cooling fins on the cylinders. The fact that the model was only produced for two years and the fact that the production numbers were relatively low (between 1,800 and 2,500) have resulted in them being hugely collectible. 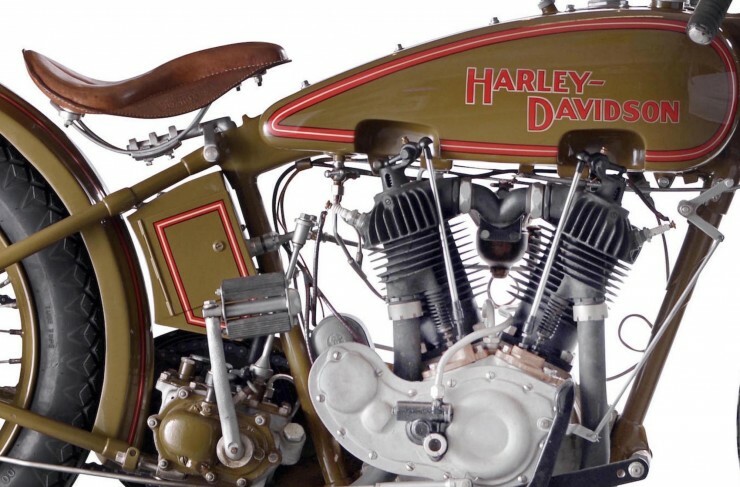 It isn’t known how many survived but the onset of the Great Depression followed by the Second World War likely contributed to the demise of many of them. 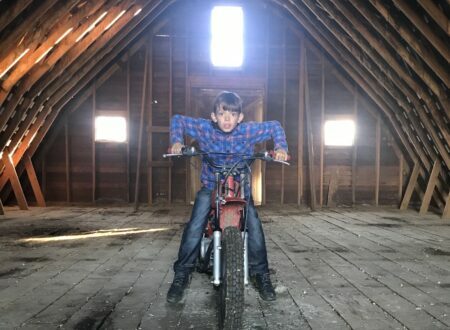 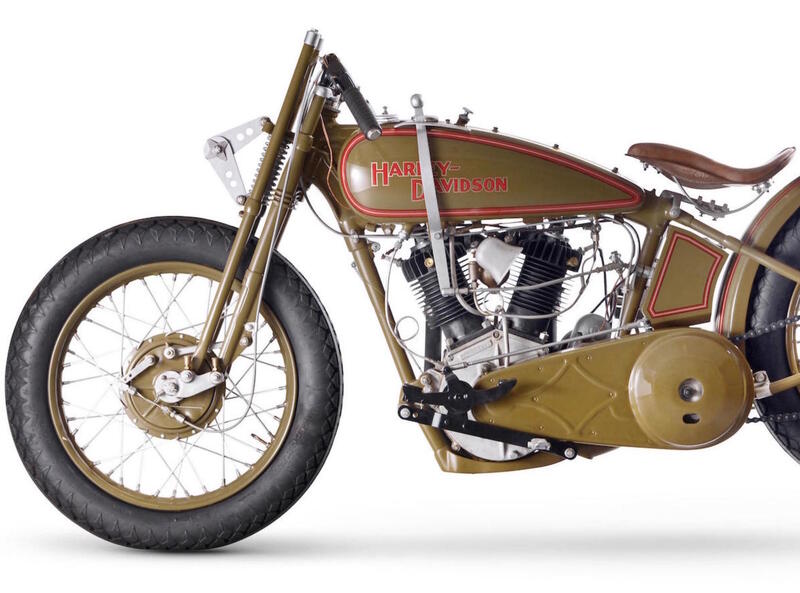 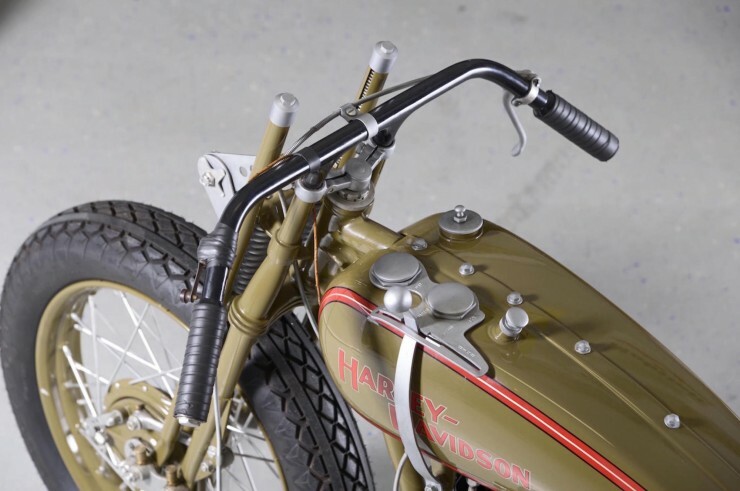 The Model JDH you see here has is a 1929 model that’s been modified for racing, the original front and rear fenders have been removed along with the headlight, brake light, handlebars and horn. 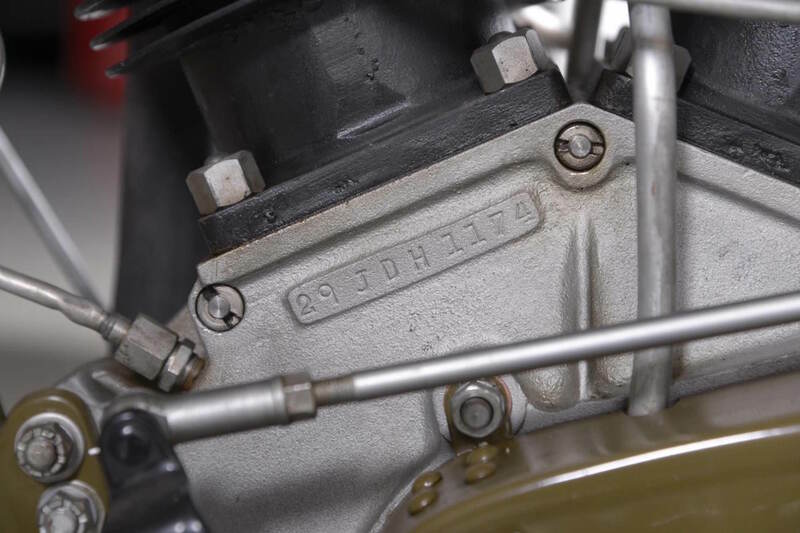 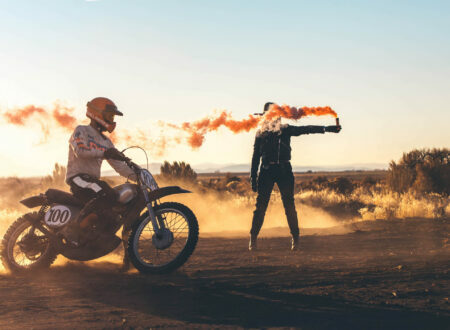 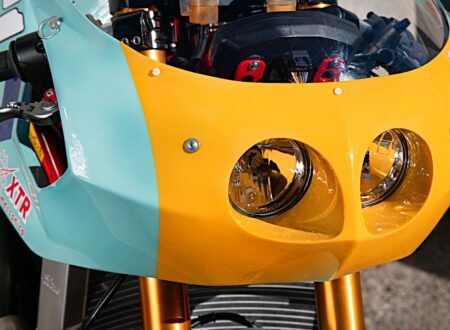 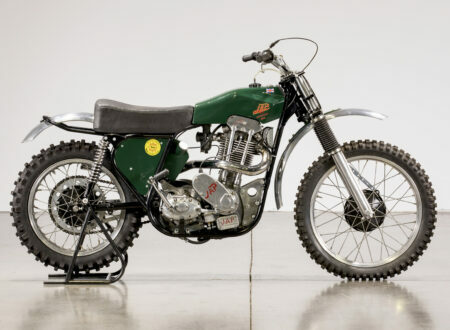 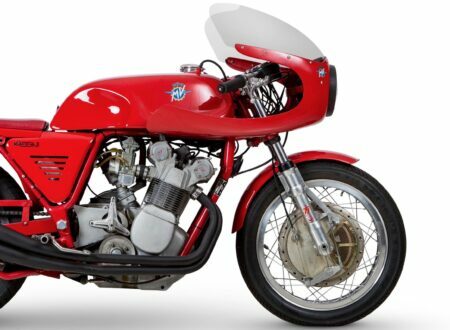 The specifics of its racing history have been lost to time but those looking for an original Two Cam to take part in vintage motorcycle events will likely be very interested in it – especially considering the fact that these rarely come up for sale. 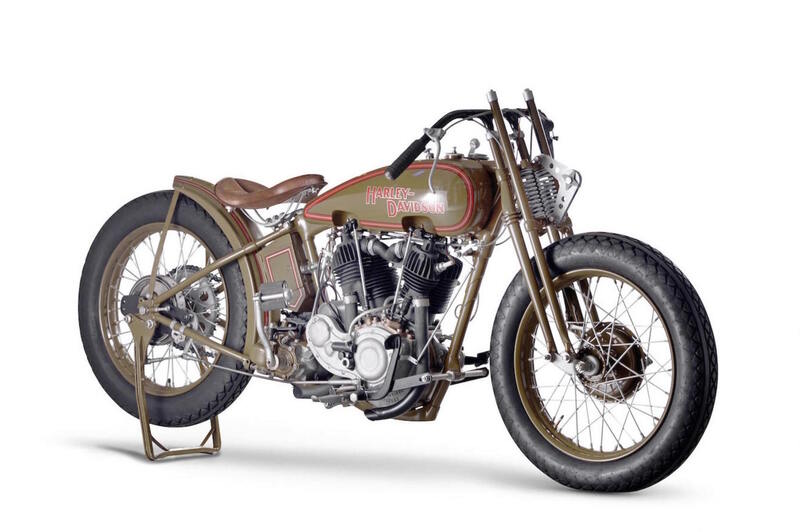 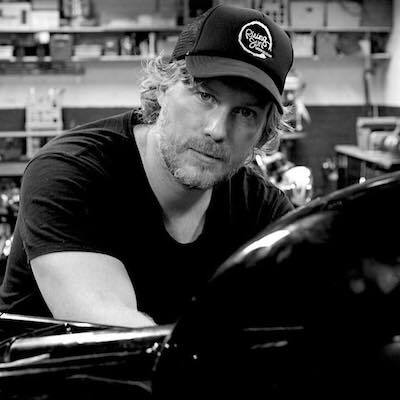 With an estimated value of between £20,000 and £30,000 the bike is due to be auctioned off as part of the Lonati Collection of American Motorcycles by Bonhams on the 17th of October 2015 in England. 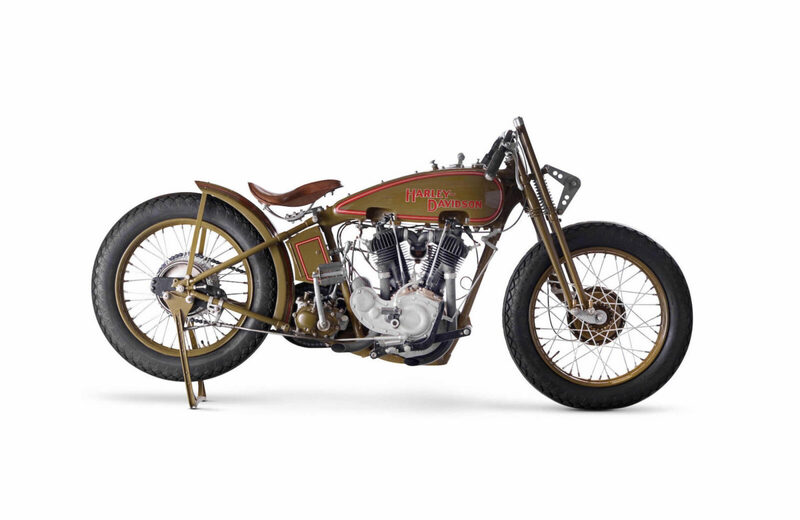 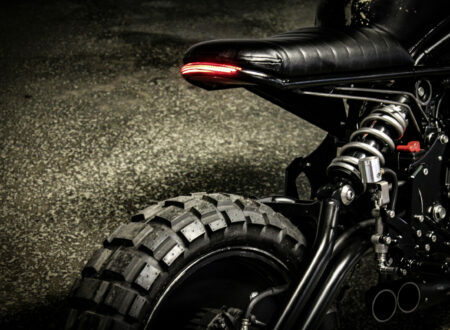 If you’d like to read more about this bike or register to bid you can click here.